Schengen Visa For Malta has few of the world’s most ancient buildings that are standing, and its location is strategic. In the Mediterranean, it has safe harbors that have attracted Greeks, Phoenician, Arabs, Roman, Normans, the French and Crusaders and lastly British along with the lasting colonial period until 1964. If you are interested in visiting Malta, apply for a visa. Malta is also a member of Schengen Agreement. 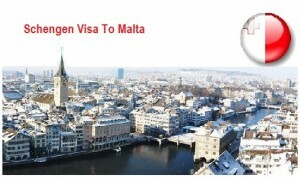 Hence, you can apply for Schengen Visa for Malta. There is no control of borders between nations that have signed as well implemented this particular treaty. The European Union (except –Bulgaria, Cyprus, Croatia, Romania, Ireland, and the UK), Liechtenstein, Switzerland, and Norway. Similarly, we find the Visa is offered to any member of Schengen nation which is valid in different countries that have signed as well as implemented the treaty. There are regular flights that help you to travel to Malta and it daily connecting flights does help you to go from Malta to varied European nations, Centres of Middle Eastern regions and North Africa. When you visit Malta, after receiving tourist visa for Malta, you will find that, as this island nation lacks rail network to carry passengers, it has bus network that is effective. The tourists can buy weekly tickets that would help them to visit the island nation. The price of the tickets is low when compared to EU standards. The public transport of Malta does offer journey planner online, where the tourists, as well as other passengers, can get required information about the place they wish to travel as well they can view route maps. We find in most cases, buses do not operate late nights. Cycling is considered to be an original and fun way to discover Gozo and Malta, which are known for their size, which is usually small. It is the best idea to cycle in Malta especially in western areas such as Form ir Rih and Dingli Cliffs, as they are far from the congested cities, and they provide a pleasant view. My wife wishes to study more in education field in Germany. She is working as lecturer of communication and now a teacher in province in India. May I know! Can I get a spouse visa for me, additionally my daughter and afterwards, are there chances in education field in case we wish to settle there in Germany. For Schengen Visa do I need to show invitation letter of my host? is it good time to travel in mid November? Do I required a job offer to enter Express Entry Profile? Do I require a job offer to enter Express Entry Profile? For your kind information – You can contact your nearest visa advisor for Malta. For Schengen Visa for Malta do I need to have Medical Insurance? If applied Schengen Visa for Malta – What is the average duration for getting visa approval from immigration office?